What is Business Centred Delivery? Business research is a key part of the development companies process, as the more client understanding they have, the better their digital effect will be. From here the initial idea for the digital product may start to change subtly. The reason for this is that the development company is now able to provide more input and experience to the client in what works and what doesn’t in the digital sphere from their recent business research. And this collaboration is what this first point of ‘Business Centred Delivery’ is all about, both parties can now clearly see the finish line - they just need to find the best digital path to get there. They need a winning strategy. The winning strategy decided upon must ensure that the digital product built creates a measurable improvement against previous products or against the historic data of the metric it was built to improve. Improvements can come slowly and incrementally or quickly. A/B testing is the best option to find what works best, iterate, and try it some more. Hotspots can be used to determine a user’s interaction with web pages. This is perhaps the most important point in Business Centred Delivery, there needs to be not only an improvement in the business but a way to measure that improvement in a robust way. It also allows the client and the development company to understand how far along they are to achieving their clients goals as well as providing a measure of the ROI in regards to the company's digital investment. 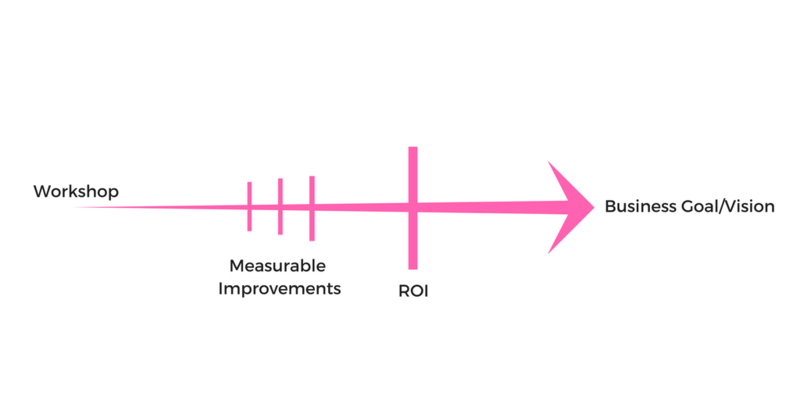 When we talk about ROI, we are really still talking about an extension of measured business improvement. The ROI is tied to each improvement and as long as there is an actual measured improvement there will be a return on investment. Furthermore a return on investment analysis is generally conducted by the development company in the months following the product launch. An ROI serves as confirmation the first two steps have been followed correctly and the company is on the best path towards their business goals. When aligning yourself to a digital partner it is always best to find someone that has the capability to not just build your product but to also understand your customers and your business. By doing this they will have the ability to recommend the best way forward for your business and the digital product needed to achieve your business vision. Because with a Business Centred Delivery approach you are not just investing in a digital product you are also investing in the success of your business.